Steven van Vessum is VP of community at ContentKing, the first and only real-time SEO application that continuously audits your website for issues and changes so you can finally get a firm grip on your SEO. Want to read up on SEO? Then check out the ContentKing Academy. Connect with Steven on LinkedIn and follow him on Twitter. English-speaking markets are attractive, but for most niches, they’re also the most competitive. It takes a lot to move the English-speaking needle. 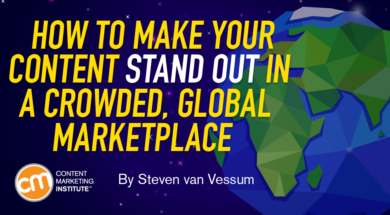 If you want results with less effort – and it makes sense for your audiences – think about localized markets. After all, while people may speak English as a second or third language, they’re more likely to search in their native or first language. Building a multi-language content marketing team doesn’t require a huge budget, but it requires some thought and planning. At ContentKing, we localize all our English content into French, Spanish, Dutch, and Czech from the get-go. Here, I share some lessons we’ve learned along the way.